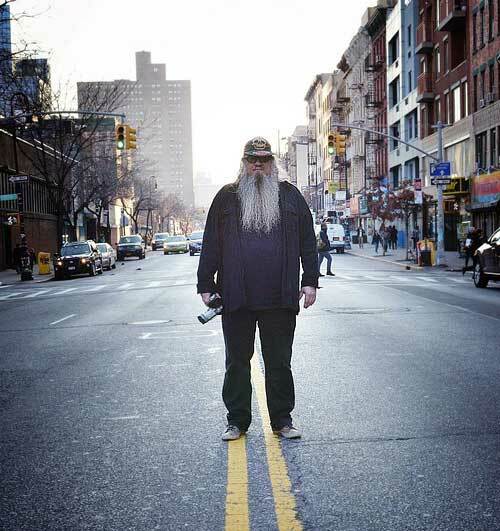 Clayton Patterson has been documenting life on the Lower East Side for over three decades. His tremendous archive of the inner city transverses a variety of communities in the neighborhood. We sit down to discuss his three recent publications and what ties them together. Maureen O'Brien: How long have you been involved in the Tattoo scene in New York? Clayton Patterson: I had started photographing people in the tattoo community when it was still illegal. There was this underground tattoo society in the Lower East Side, and Ari Roussimoff and I became vice presidents. We did monthly meetings, at the Chameleon club on 6th street. Tattooing at that time was very secret. It was difficult to start up a shop, there was no real way to learn. The club became a place for that. It was a creative crucible for all these people who were starting out. We really spearheaded tattoo legalization in New York. 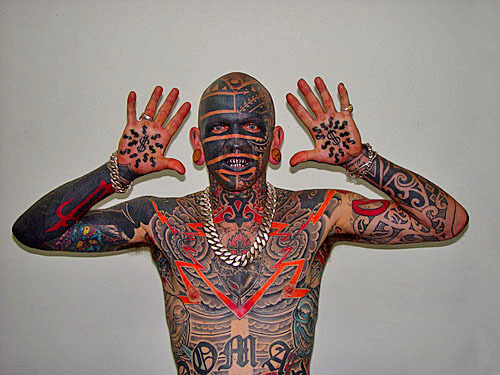 The society started in 1986 and tattooing became legal in 1997. It was just becoming possible to be famous from the art. The society ended as soon as it became legal, because then everyone was in competition with each other. Prior to legalization, our largest meeting was 600 people and a lot of sharing and teaching. People would be able to look at each other’s work and learn from it. Our biggest contribution was to lay the groundwork for tattoo shows, reality tattoo shows, and famous tattoo shops. They would never be here if it wasn’t for us legalizing. Now you can have an open shop and be on west Broadway. You have people are doing Arabic tattoos. You have people who are making a living from their art. It created a whole industry…so yes, in a way. Some call you a folk artist, which insinuates saturation in one particular culture, yet, as we talk about your projects, the subjects vary immensely. How would you describe your own culture? I made a lot of sculpture from the streets. Community oriented and working class elements. Baseball caps, sculpture with ingredients from the street, photographs of street people. It has always had the story of the inner city attached to it. These mediums, previously considered lowbrow-the story of the street, eventually became mainstream and high culture. Tattoos, signature baseball caps. You know, I was in the group pioneering a lot of those movements; I come from pioneer stock. Folk art gets transferred into high culture- I was a big part of that. I mentioned anybody can do what I do. Photography was a pedestrian field, a part of a sort of folk art. But it’s now attached to high culture. Being on the LES at the right time opened that opportunity up. Your work in The Front Door Book features a series of subjects whom you film, quite literally, at your doorstep. Since you had little agency in selecting the people, as they seem to come to you rather than you going to them, what connects these subjects (other than the door, of course!)? I was giving them a life. I was making them famous. My photo gave them fame in the neighborhood. Certainly amongst the younger kids there was fame seeking energy. There is really no place to get adulation, other that being a tough guy. They closed the boys club; there was no more boxing arena. There had to be something that made these kids stand apart. Where can they get public recognition in this inner city community? Anybody could have taken their picture; the difference becomes the dedication and being at the right place at the right time. It wasn’t some elitist thing. You could be me, but my photos were different because I was looking for the best part of people, the humanity. Your newest book, Jews: A People’s History of the Lower East Side came out last year. 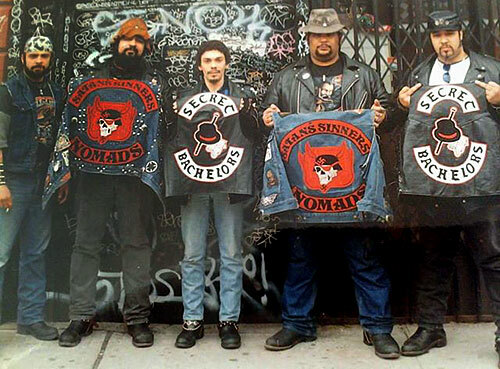 You've been documenting life in the Lower East Side for some 30 odd years. Of all the peoples that make up the cultural fabric of the LES, why'd you decide to tell the neighborhood story through the lens of Jewish people? I’ve known a lot of Jewish people. A lot of the major things I’ve done have been connected to a Jew. I mean, this is LES. Just looking for topics to write about, I got into doing books. In a lot of ways I’ve been outside of the art world and it’s really an insider’s game. I’ve been more adversarial than a careerist. I have all this art work and photos and this whole archive. What am I going to do with all this work? This is the largest book on the people’s history of the LES. The history of the Jews stopped in the 1940s. Since I had documented a lot of that community, it turned into a 3 volume book. The archive about taking people who I think are great and important and mixing them with people who are famous. There is a divide between the famous and the unknown, so this is sort of a book of associations. It’s my attempt to allow them to be discovered. I’ve covered the streets, the working class. Since a lot of it is taboo to the mainstream, someone has to be responsible for saving this history. I have one of the largest collections of inner cities archives. My ambition is to take the best part of people, to make them look good no matter how dangerous. ABOUT "ALL DAY EVERY DAY": MAKERS | BREAKERS | THINKERS | DOERS | We cultivate the aspirations and drive of our community through a combination of original programming and creative services. Our original content centers on generating partnerships with writers, artists, photographers and filmmakers, while giving them a platform for exposure and collaboration. Allday’s creative services division provides tailored digital, creative, entertainment and content executions for our clients, including Nike, Standard Hotels, Gap, Express, and Land Rover, among others. We create experiences that will engage and entertain audiences.